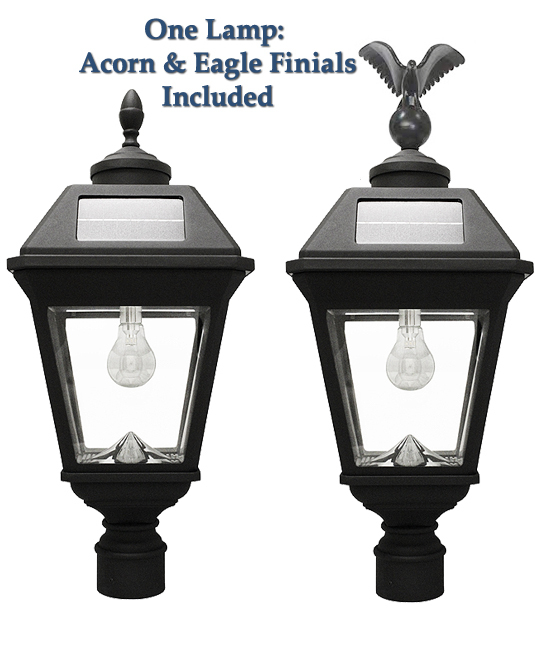 The lamp is designed to fit any standard 3-inch lamp post and is a great way to replace old energy-hogging electric or gas lamps*. 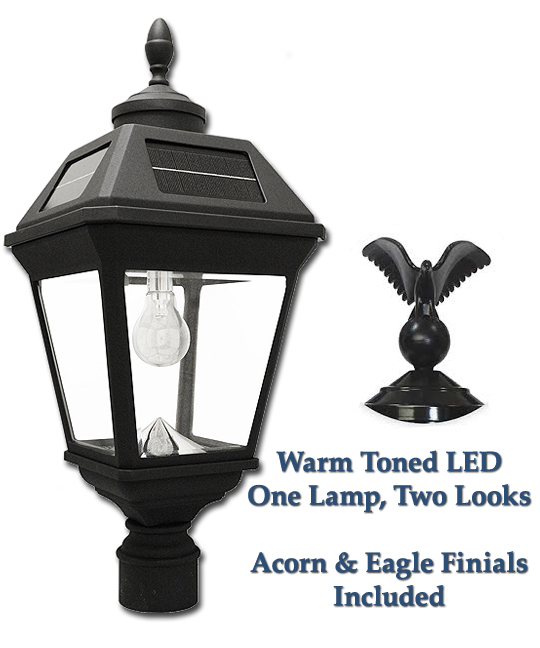 The updated Imperial Solar Lamp combines the latest in solar lighting technology with a classic and elegant style. Quality components, housing and real beveled glass panes add to the rich look and long-lasting appeal. The extra power means longer running times. The high-grade solar panels store power each sunny day in the packs. At night, the battery packs run the light. With two packs, Imperials will work off of the second battery once the stored energy in the first pack is used up. 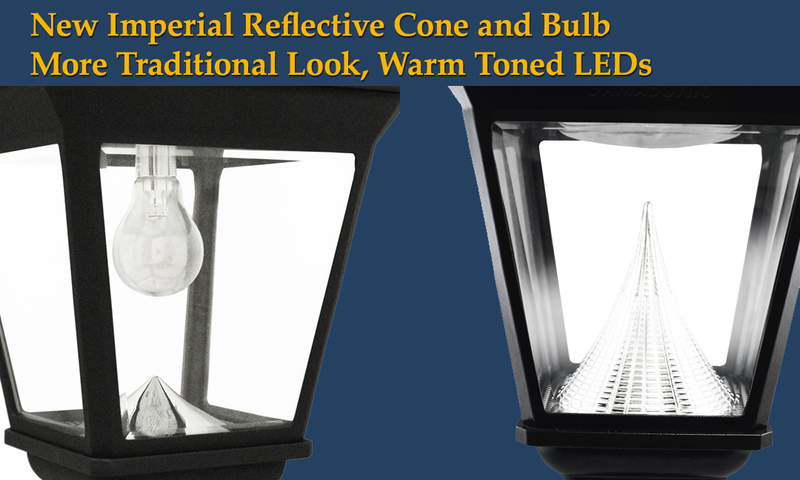 This means bright, warm-toned illumination even after cloudy days. 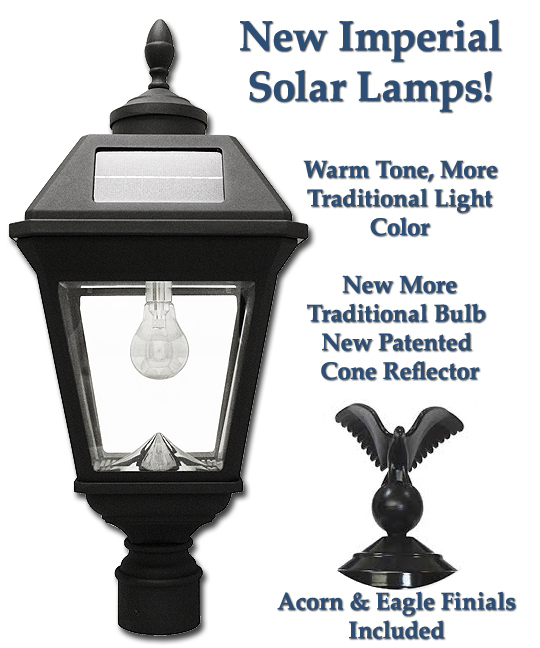 On a full solar charge (6 or more hours of direct sunshine), you can expect 12 hours of reliable light. 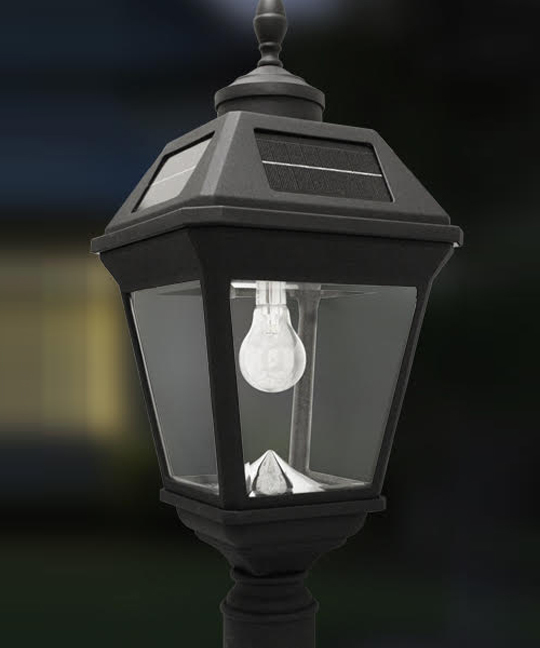 Once the first power battery pack's stored solar power is spent, the extra battery pack kicks in so that the Imperial Solar Lamp has long operating times even after multiple days without sun. *Please disconnect gas/electric supply appropriately and in accordance with your local building codes. A professional electrician or plumber should be used to properly terminate old power lines.